We are delighted to be collaborating with the very talented Chelsea Bomba for this course. Raised just south of the Arctic Circle in Alaska, Chelsea grew up exploring the mountains at every opportunity, most often on skis. Her passion for the outdoors took her to Juneau, Alaska, where she attended university and studied Outdoor Skills and Leadership. Chelsea now lives in Talkeetna, Alaska at the base of the Alaska Range where she works at the Alaska Mountaineering School as a mountaineering instructor and guide on Denali. 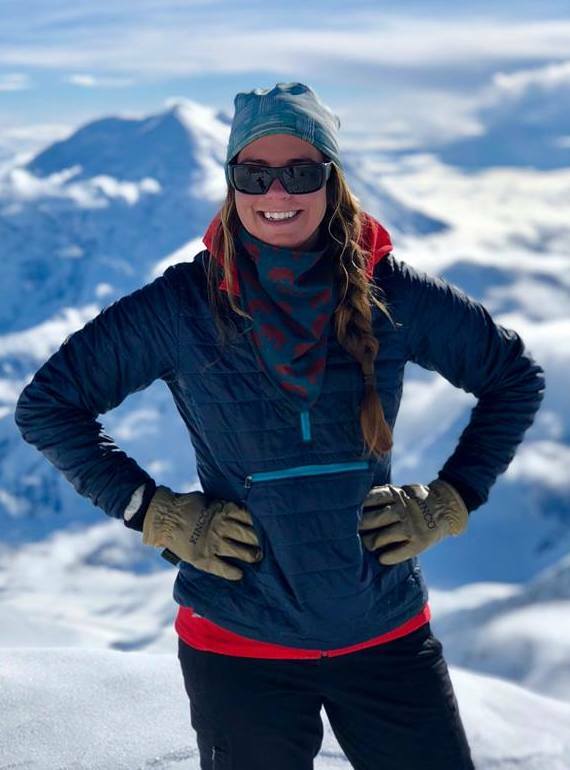 In the winter months she splits her time between traveling to Antarctica where she works as a field guide for Antarctic Logistics and Expeditions, and Alaska where she feeds her passion for snow science and avalanche education by working for the Alaska Avalanche School.